As the sun beat down on day two of the L.A. Times Festival of Books, visitors stayed cool in the University of Southern California’s darkened Ray Stark theater. But the room was silent as a documentary opened with bustling scenes of Manila, capital of the Philippines, flickering across the screen. The USC School of Cinematic Arts has released a statement identifying Jacob Fadley as the driver of the car that collided with a Metro rail train on Saturday. 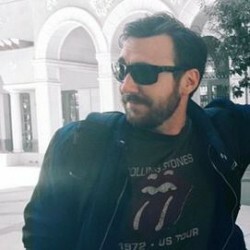 The USC student directory lists Fadley as an MFA student in the cinematic arts, film and television production program. On Fadley’s Facebook page is a post from 2014 that illustrates what appears to be his letter of acceptance, marked to an Ohio address. The silver Hyundai Sonata involved in Saturday’s crash has an Ohio license plate FGV7189. There are no Facebook posts on his wall about the incident. A LinkedIn account under the name Jacob Fadley has Hilliard, Ohio as the location – the same location as the photo of the admission letter. The LinkedIn profile states Fadley has been a photo journalist in the United States Army since April 2008. Prior to working for the Army, the account says he worked for the United States Navy for five years beginning in June 2002. The same account says he attended Ohio University, and enrolled at USC in 2014. The statement from the school does not provide an age of the student, however, according to Sgt. 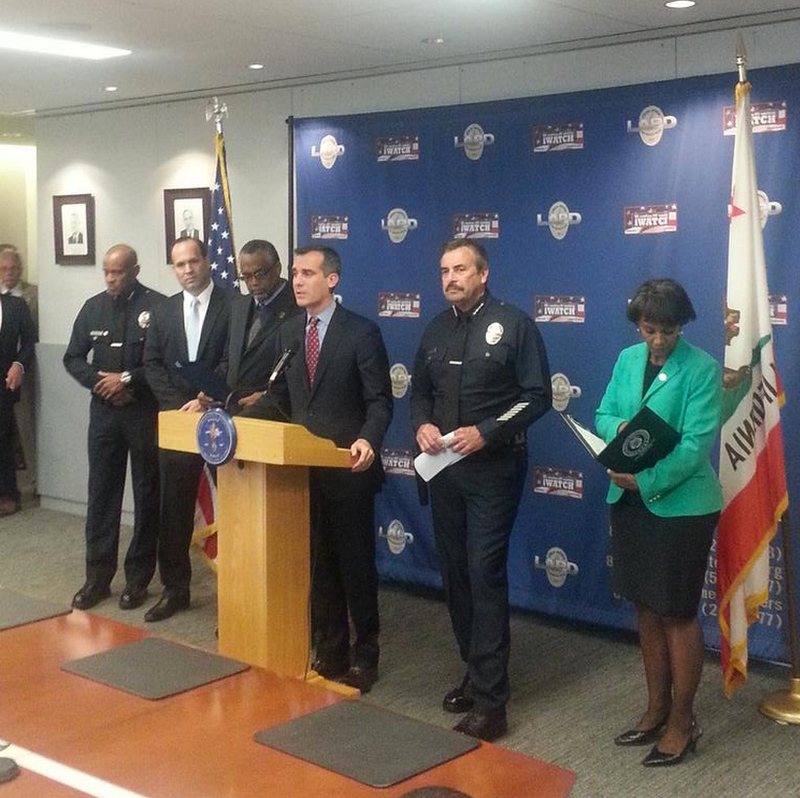 Hendley Hawkins of the LAPD South Traffic division, the driver involved in the crash is 31 years old. As many of you have already heard, one of our graduate production students, Jacob Fadley, was seriously injured in a collision with a [Metro Rail] train Saturday morning. We have been following his condition closely in tandem with the USC Office of Student Affairs and have been in touch with his family. While Jacob was very seriously injured he is currently in stable condition. 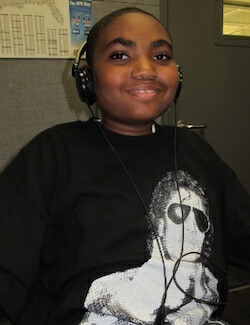 We are hopeful that he will recover and be able to continue pursuing his dream of becoming a filmmaker. We will keep the SCA community posted on his condition as we learn more. I know you join me in sending him and his family our very best wishes. We encourage anyone in need of support to contact your advisor in Student Services or the counselors in Student Counseling Services or the Center for Work and Family Life. Reach Civic Center Bureau Chief Max Schwartz here; follow him on Twitter here. Civil rights organization National Action Network held a press conference Tuesday on the recent allegations of racial profiling by members of USC’s Department of Public Safety. 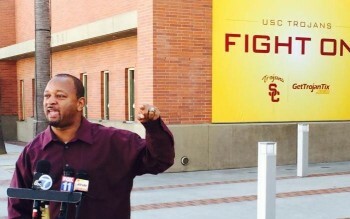 Speaking in front of the Galen Center, Political Director Najee Ali of NAN demanded an independent state and federal investigation be conducted regarding racial profiling by USC Department of Public Safety officers following claims made by actress Taraji P. Henson. “We take those claims very seriously and we know for a fact that several students have claimed they have been racially profiled by USC in recent years,” Ali said. Henson told Uptown Magazine that she had initially planned for her 20-year-old son, Marcel Henson to transfer to USC, however decided against it after he allegedly experienced racial profiling by police officers on the campus. “I’m not paying $50K so I can’t sleep at night wondering is this the night my son is getting racially profiled on campus,” Henson told the magazine. She ultimately decided to have him attend her alma mater, Howard University, a historically Black institution. 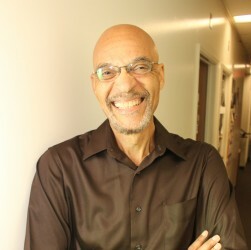 Ali expressed concern that any investigation conducted by USC officials will be biased when it comes to addressing issues of racial profiling conducted by DPS. He also noted that although NAN stands by Henson they have not been in contact with her directly. He further discusses his own experience with racial profiling at USC in the video below. 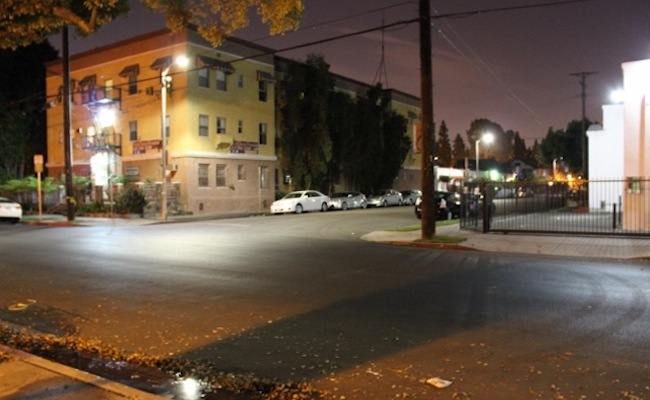 The sporadically lit streets just north of campus are unassuming and benign, even after midnight falls. Faint laughter and the pulse of radios from security ambassadors can be heard throughout the spider web of USC housing on Thursday nights, an evening routinely celebrated with cocktails and kegs. But the yellow jackets on street corners are glittering, clicking heels of co-eds make the security blanket cloaking the campus even more dangerous. The façade allows students to discard the memory of a murder that took place in their own neighborhood just seven months ago, on a night just like this one. Xinran Ji, 24, walked a friend home after studying on Thursday, July 24, 2014. It was just after midnight when a car carrying five teenagers profiled Ji as a prime robbery victim “because he was Chinese” and therefore “must have money,” they believed. Four of the five individuals got out of the car and proceeded to beat Ji with a metal baseball bat and wrench. Bleeding and delirious, Ji stumbled back to his campus apartment where he later died that same evening from blunt force trauma to his head and neck. The savage nature of the beating does not match the temperate atmosphere of the block, which Annenberg Digital News returned to on February 26. The team walked Jefferson to Orchard, and back to Ji’s apartment complex at approximately 1 a.m. The walk included two security ambassadors standing in silent surveillance as several students drifted up and down the block, in and out of parties and residence halls. When we arrived at Ji’s complex, we found a group of about 10 USC students hanging out on the front steps. Daniel Lee and James Lee are USC sophomores and plan to live in Ji’s apartment complex next school year. They say knowing of Ji’s killing doesn’t deter them from moving into the building – in fact, both agreed that USC’s Department of Public Safety (DPS) makes them “feel safe,” and they aren’t worried for their safety. It’s impossible to tell if Ji was concerned for his safety before he was attacked. It is true that DPS slashed the number of stationed security ambassadors in half for last summer semester. Following Ji’s death in July, Deputy Chief David Carlisle proclaimed that “nothing is off the table when it comes to student safety.” For a full list of safety upgrades, click here. For more insight into the retracing of Ji’s last steps, please check out of video below. 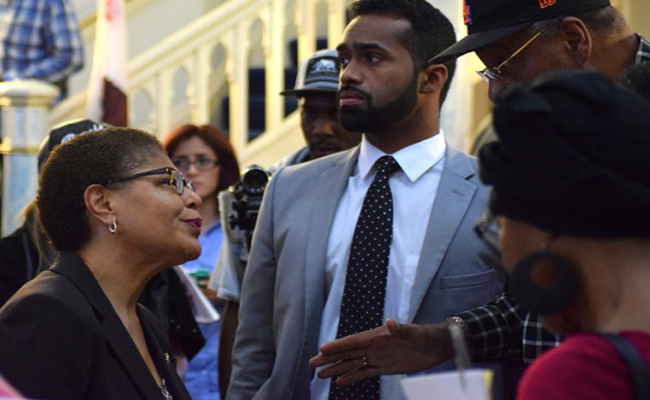 Congresswoman Karen Bass, from California’s 37th District, flew from Capitol Hill to Ferguson, Mo. to a South Los Angeles church last Saturday to gather a flock of concerned citizens in a town hall meeting to discuss new policing reforms for better relations between community members and the Los Angeles Police Department. 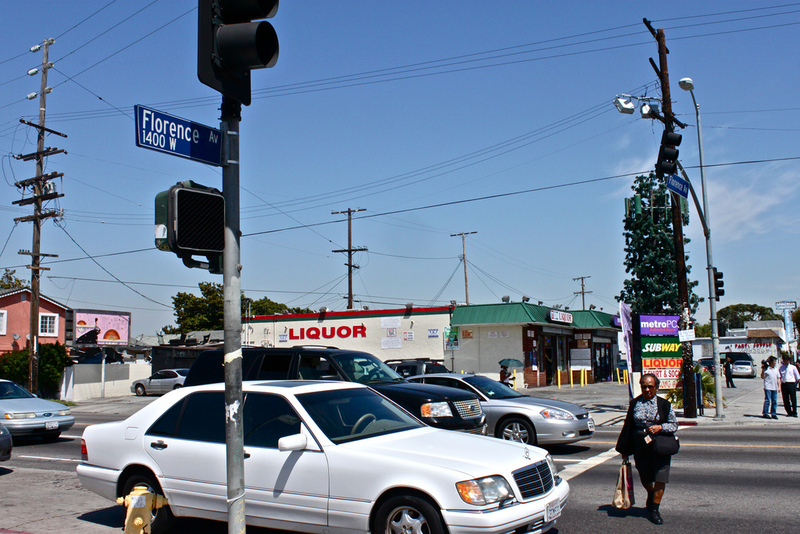 In Los Angeles, where the memory of Ezell Ford has far from faded in the minds of some residents, a Facebook event pointed people to Leimert Park at Spring and Crenshaw. A crowd of about 100 people gathered to hear the grand jury’s announcement and to stand in solidarity with the people of Ferguson. View more images from Neon Tommy photographers Charlie Magovern and Benjamin Dunn. “Hands up, don’t shoot, hands up, fight back,” chanted members of Fight for the Soul of the Cities, a grassroots organization. 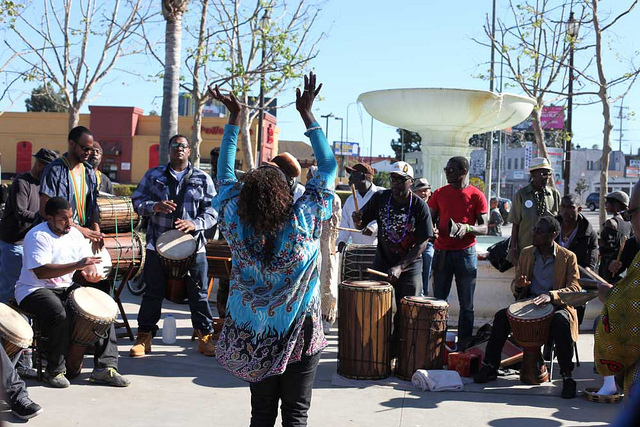 Throughout Leimert Park, people raised their hands in memory of Brown as LAPD officers watched from the edge of the park. The scene was calm compared to a rally against police brutality held in the exact same park just three months ago. But when the announcement came that Ferguson Officer Darren Wilson will not be indicted, there was hardly a shift in mood as people continued to chant and hold signs protesting police brutality. Jaymes Barnett, a protestor, believed that the grand jury’s decision to not indict Wilson will “add kindling to the fire” and lead to more meaningful conversations surrounding the issues regarding Ferguson. 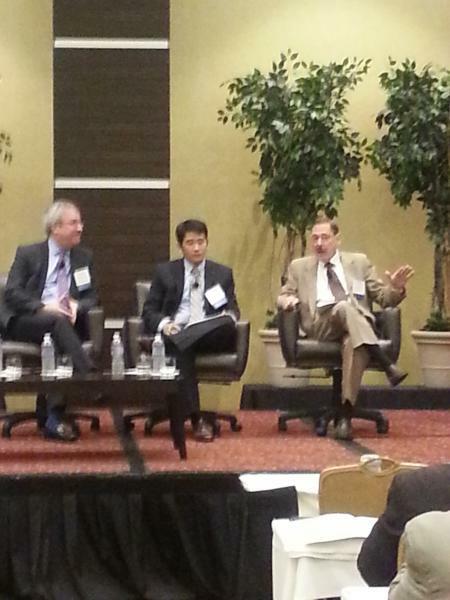 “But America seems to have a problem with being real to itself,” Barnett says. He says that although people talk about social issues amongst themselves, many of them aren’t prioritized. People yelled, but they didn’t riot. Lewis says he hopes people will talk more about “unison for everybody,” and work to improve issues such as racism and police brutality in the coming months. 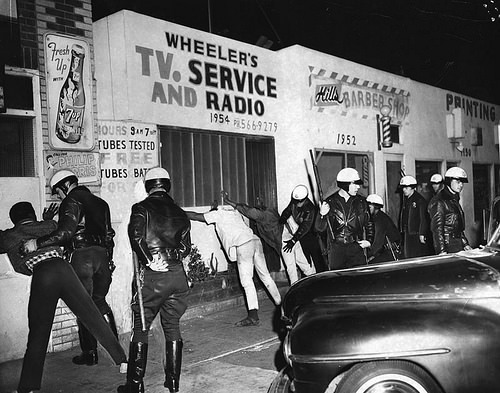 Later in the night, protesters began peacefully marching from Leimert Park to downtown Los Angeles, gaining more and more supporters as the march went on. “As black people, we know our bodies have no value in this country … you just never get used to it, you know?” she said, not slowing her stride. She had already been walking for three hours. Nadia Khan, another marcher, also said she was not surprised, but she was angry. She explained the march allowed Los Angeles to show solidarity. The march continued until the 110 Freeway, where marchers climbed a hill to gain access to the freeway and stopped traffic going both north and south. Police began to surround the protesters as many laid or sat down on the pavement. 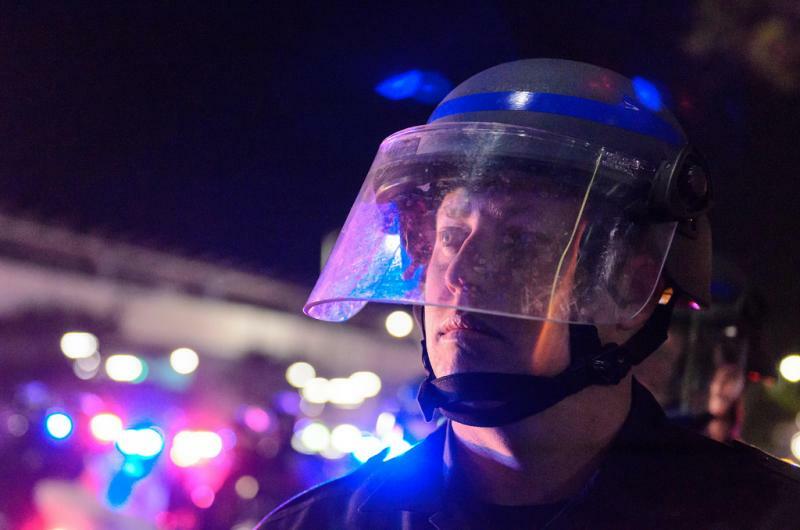 The police then declared the protest unlawful, and said protesters had five minutes to get off the freeway or the police would have to start arresting people and using force. 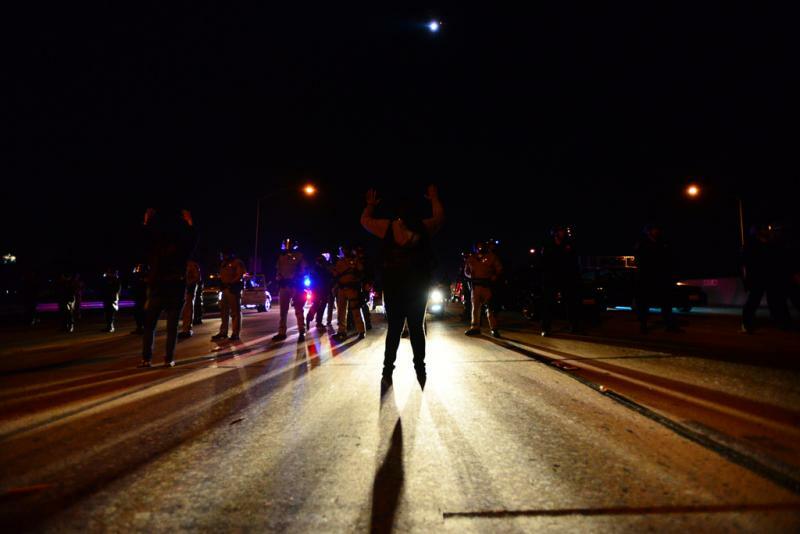 Many protesters remained on the freeway, holding their hands in the air and standing in front of the police lines. Eventually, everyone was pushed off the freeway and back down the hill. There, the police announced the protest on the street was unawful and people were given another five minutes to disperse. Hundreds of police officers lined up, slowly walking towards the crowd, many of whom stayed put, continuing to either hold hands or put their hands in the air. The officers walked slowly, moving in on the remaining protesters. As they moved down the street, some officers went ahead and lined the sidewalk. All were dressed in protective gear and all were carrying firearms. As the police got closer, the crowd backed up under the 110 freeway bridge. Suddenly, the officers shouted and started running towards the marchers. Three warning shots were fired and marchers grabbed their friends and fled, cutting down alleyways. Other protesters stopped once out of the underpass and turned back to see what was happening. The hundreds of officers began heading down alleyways and sidestreets as well, slowly blocking off exit-ways. They continued to announce that the march was unlawful. Though many protesters took this time to leave, many others remained, keeping their hands peacefully raised in the air. Originally published in Neon Tommy. Javier Bolden, the last defendant involved in the 2012 murder of two USC graduate students, Ming Qu and Ying Wu, was sentenced to life without the possibility of parole Monday morning. Los Angeles city officials and law enforcement officers reinforced their plea Thursday for witnesses to come forward with more information about the fatal shooting of 24-year-old Ezell Ford, a mentally ill African-American man, by two Los Angeles Police Department officers more than three months ago. Already finding rent expensive? Bad news: Rates are expected to keep increasing.